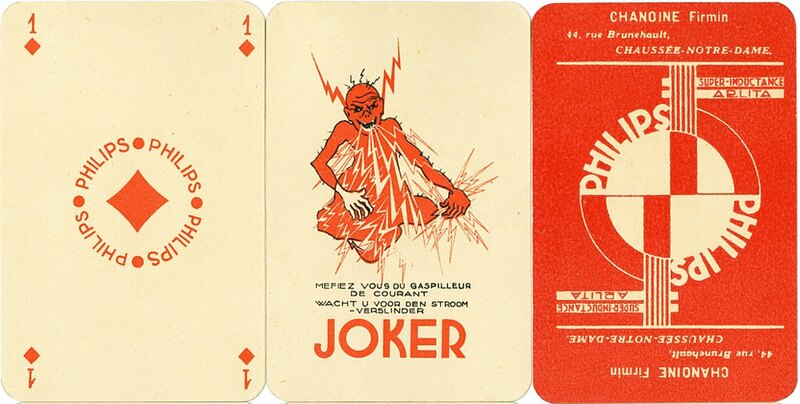 Philips ‘Super Inductance Arlita’ advertising playing cards, in art deco style and based loosely on the Belgian std. pattern, manufactured by Etabl. Mesmaekers Frères S.A., Turnhout, Belgium, 1925. There are various instances of lamp bulbs hidden in the designs. The Joker (shown right) has the legend “mefiez vous du gaspilleur du courant”. Above: Philips 'Arlita' Belgian style advertising playing cards manufactured by Etablissements Mesmaekers Frères S.A., Turnhout, Belgium, 1925. 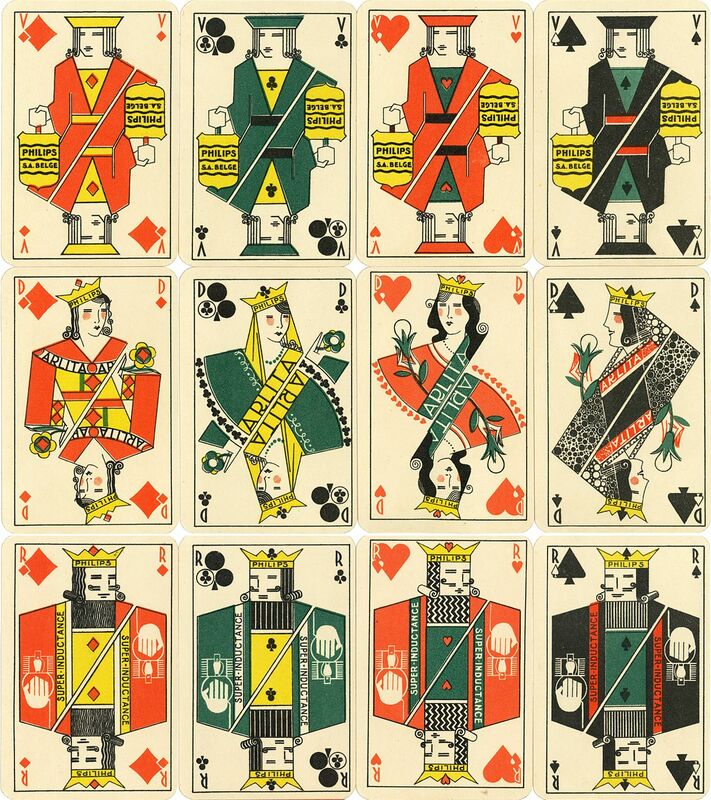 52 cards + Joker, 58x88mms. A green back was also produced. Images courtesy Barney Townshend.